Community Fridges are communal places where surplus food is shared between people in a community, by local businesses and individuals. The average UK household wastes £810 a year by throwing away food and drink which could have been eaten and £3 billion is wasted by food sectors. Despite growing awareness of food waste, there are few easy ways for people or businesses to get food near its ‘use by’ date to others. 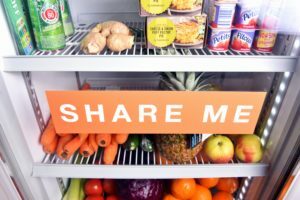 So far across the UK, Community Fridges have helped thousands of people connect within their communities, access nutritious food, save money and reduce waste. Here in Norfolk we are proud that we have 12 Community Fridges* with more planned. *Some Community Fridges may have different opening hours over bank holidays. Please check with your local fridge before visiting. Spreading the word! Tell your friends and family who may also be interested in saving food and money. 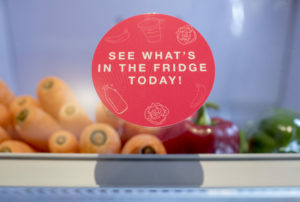 Visiting and supporting your local Community Fridge – check-out what free food it has to offer. If you are a local business or grower of vegetables, donate surplus food that you’re not going to use to your local Community Fridge. Downham Market Community Fridge – Re-opening soon. Want to see a Community Fridge in your local area? 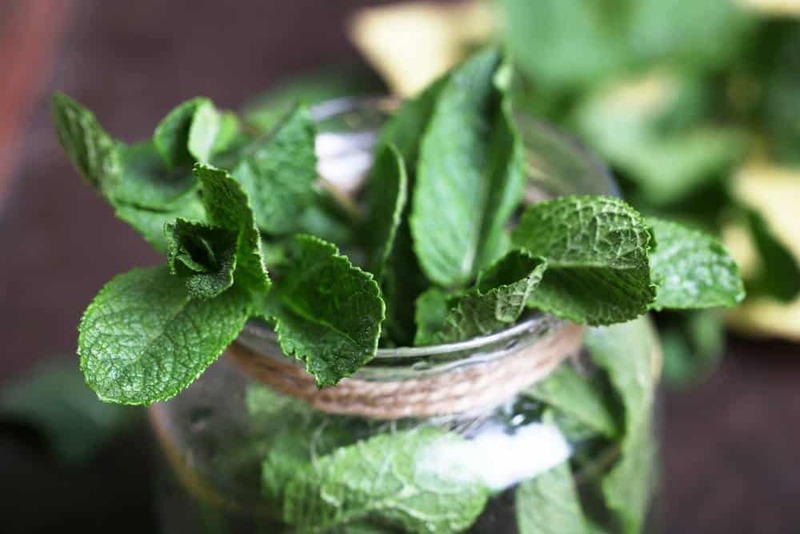 Hubbub have created a ‘How To’ guide and template materials to take you through, step by step, the stages for setting up a new Community Fridge. 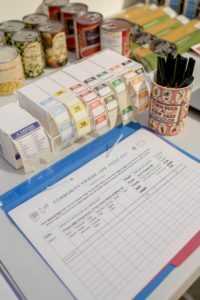 They’ve also created the Community Fridge Network to connect all of the Community Fridge projects across the UK and IE, so you can exchange advice and support. The scandal of food waste and a declining sense of neighbourly connection are issues Olio cares deeply about, so we’re thrilled to let our residents know there is an easy modern solution to both of these issues – OLIO. 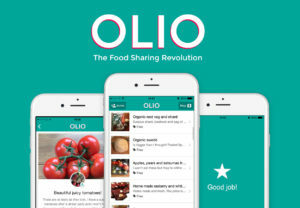 OLIO is a free app that connects neighbours with each other and with local businesses, so surplus food and household items can be shared not thrown away. Users simply snap a photo of their spare food and add it to the app. Neighbours who live nearby receive customised alerts and can request anything that takes their fancy. Most items are offered for free, though users can also request a donation to charity for their listings. Food shared could be food nearing its sell-by date from local stores, spare home-grown vegetables, bread from the local baker or the groceries in your fridge when you go away, move home or go on a diet.